What Does It Take to Keep Your Dirtbike's Engine Running Smoothly? 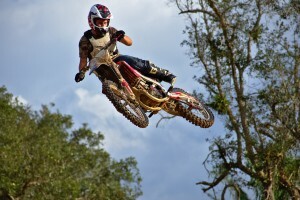 Are you looking for basic information on how a dirt bike works and how to keep it in good shape? This article has just the information you are looking for! If you own a car then there is a good chance that a great number of people told you everything they know about cars the moment you received your learner permit. However, lessons on dirtbikes and their accompanying maintenance aren’t always as easy to come by when talking to friends and family. If you currently own a car and are interested in dirt bikes, below is a great article from Synthetics Northwest with some basic information on how a dirt bike’s engine works and the importance of including a synthetic oil change in Salem, OR on your dirt bike home-maintenance checklist. What Powers a Dirt Bike? Not a lot. Okay, maybe that isn’t true. However, while there is a lot going on inside your dirt bike’s engine there isn’t much that goes into the engine itself. What is inside your engine is a range of small metal parts. Each of these parts has its own designed purpose which, when interacting, comes together to form part of your whole engine’s operation. As soon as you start a dirt bike and especially when you’re riding one, each of the above parts pushes, pulls, scrapes, slides, and even spins around other metal parts at high speed. If you have ever heard the sound which a dirt bike makes then you have some idea as to the speed at which you can imagine the parts are operating. If you have any idea about metal hitting metal then you know that, at high speed, this will cause a great amount of friction. In addition to working against your engine and requiring more fuel to operate, the friction also causes damage to your engine by way of small shards being chipped off each of the parts. Click here to buy AMSOIL 20W-50 Synthetic V-Twin Motorcycle Oil and keep your dirt bike's engine running smoothly. To find out if this is the best product for your engine, speak with an expert at Synthetics Northwest by calling (503) 371-7184. If you prefer, the online store has further information about the range of high-quality AMSOIL engine lubricants available for your next synthetic oil change. What Stops These Parts from Eating Away at Each Other? One very simple product - engine oil. Also known as engine lubricant, engine oil makes its way through your engine and finds its way into the most intricate spaces and parts of your engine. Once there, it provides a protective barrier (think about a thin slimy film) which not only prevents damage from occurring to each of the parts but also works to help your engine run more smoothly and efficiently, requiring a yes fuel-to-energy ratio to get the power you need. When it comes time for an n oil replacement, riders are presented with two options, which both have their benefits. The first is to choose to send work with traditional oil.l These are the regular engine lubricants which were developed decades ago for older engines. If you are using a dirt bike which is quite old and doesn't’ see a lot of use then this may be a suitable product. Riders who want to take care of their bike and see it last for longer often choose a synthetic oil. A synthetic oil change for a dirt bike provides it with a high-quality level of protection, thanks to the designed nature of the product itself. Any rider will tell you that owning and riding a dirt bike means more hands-on maintenance and upkeep then you will be used to with your regular car. However, this shouldn't be a deterrent to the adventures and excitement owning a dirt bike can provide! As always, when the time comes for any type of engine or vehicle maintenance, remember that the quality of the products you use determine the performance you will get from your engine. For this reason, speak with Synthetics Northwest at (503) 371-7184 before your next synthetic oil change to ensure you are using the best products for the job!